Camille Bauer Metrawatt AG has combined, for the first time, the functionality of a highly accurate measurement device for heavy current applications with the capabilities of an integrated programmable logic controller. With this solution, closely coupled automation tasks can be carried out directly and flexibly by programmable logic. The advantage is evident. With this 2-in-1 concept, there is no need for additional components to implement the control task. 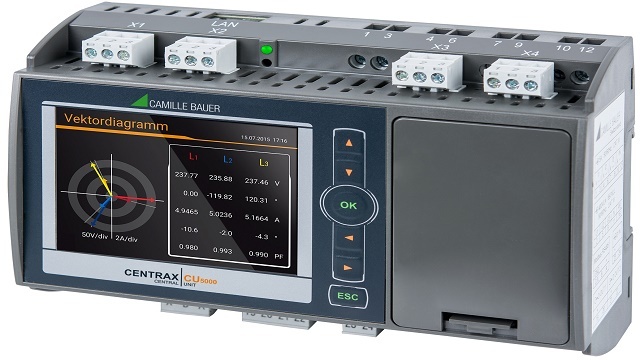 The CENTRAX CU5000 from Camille Bauer Metrawatt AG is a measurement device based on the successful SINEAX DM5000. In the measurement part of the device, more than 1500 measurement data values can be collected to evaluate the mains status, energy consumption and mains quality. The measurement parameters can be controlled either using buttons on the intuitive TFT display or by means of a web browser. In low voltage networks, nominal voltages up to 690 V in measurement category CAT III can be connected. 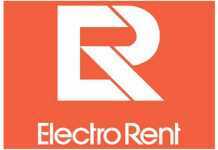 In addition, by logging relevant data for each event, it is also possible to safeguard the mains quality (Power Quality). 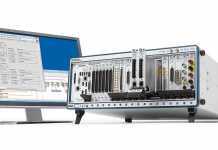 The integrated function of a softPLC based on CODESYS allows the CENTRAX CU5000 to flexibly link energy measurement data to the available I/Os or provides it on digital interfaces. As an automation component, the CENTRAX CU5000 is easy to program. 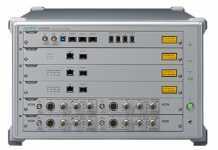 Digital inputs and outputs, analogue outputs as well as a Modbus/RTU and a Modbus/TCP interface are available. In the ADVANCED version, additional field instruments can be easily networked with the controller via the Modbus interfaces. In this way, other data such as energy consumption, status or measurement data can be collected and processed. In the PROFESSIONAL version it is also possible to create your own web pages and define your own visualisations on the local display screen. 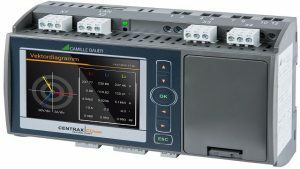 In energy automation for example, the CENTRAX CU5000 includes applications for mains loading symmetry, load management, capturing all different types of energy consumption for industrial energy management, for monitoring production equipment such as transformers, motors or generators, for reactive power compensation, or explicit process control. Furthermore, the variety and sheer number of all the capabilities of the device make it possible to create independent system solutions. These in turn can very easily be linked to higher-level control and management systems (for example a SCADA or SMARTCOLLECT from Camille Bauer Metrawatt AG).